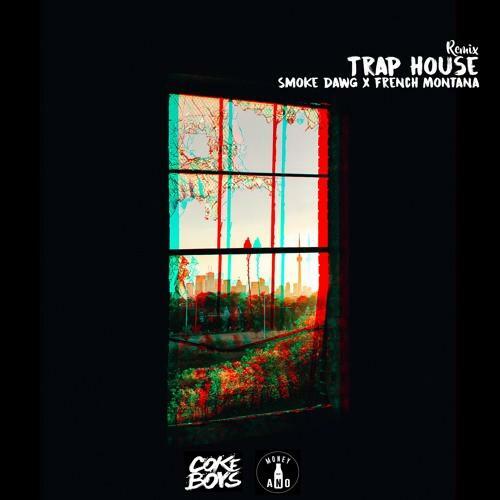 Toronto’s Smoke Dawg taps French Montana for the remix to “Trap House,” as heard on OVO Sound Radio. Right now, young Niagara producer Murda Beatz is getting deep into his special guest mix on OVO Sound Radio, and listeners are ready to hear new material off PartyNextDoor’s P3, which is expected to feature at least a couple of Murda productions. As usual, Oliver El-Khatib opened tonight’s show. He usually lets the guests come in with the majority of exclusives, but he did top off his set with a new remix of Smoke Dawg’s “Trap House,” featuring French Montana.Smoke Dawg is a Toronto rapper who was last heard on “Off the Boat,” a buzzing track from Mississauga’s SYPH. Smoke’s collab with Mo G, the Halal Gang rapper who has since spurned (andburned) OVO, was also played on an early episode of the Beats 1 radio show. French’s partnership with Drake, with whom he recently dropped the Murda-produced “No Shopping,” has clearly resulted in the Coke Boys boss showing love to the New Toronto scene.